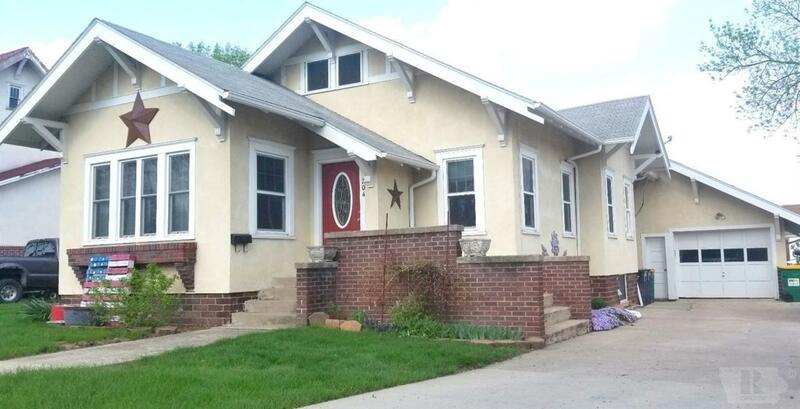 This traditional stucco home in downtown Lake Mills has been very well kept and has far more space than it appears! The main entrance walks into the main living room and dining areas as well as a large den, all consisting of beautiful hardwood floors. 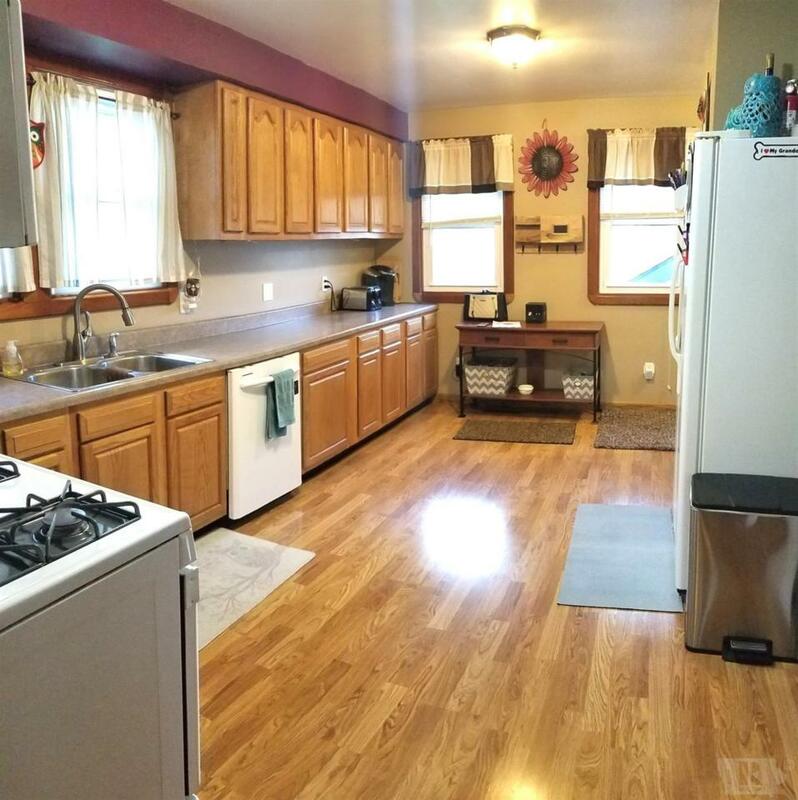 The kitchen has an abundance of oak cabinetry, laminate floors and countertops, updated faucet, and will come with the gas stove, microwave, and fridge. Down the hall you will find two main level bedrooms and a brand new, fully remodeled main level bathroom. The back porch was entirely enclosed to become a second living area for your family. Downstairs there are two additional rooms (fully finished, no egress) and a half bath as well as the utility area. Take a chance and enjoy small town living at its finest!